Sometimes I wonder whether my shots reflect my moods. I’m proud about the next shot becouse it has been featured in The Fine Art of Photography group on Redbubble. The lights of a Xmas Tree. f/9, 8 sec, moving the camera. 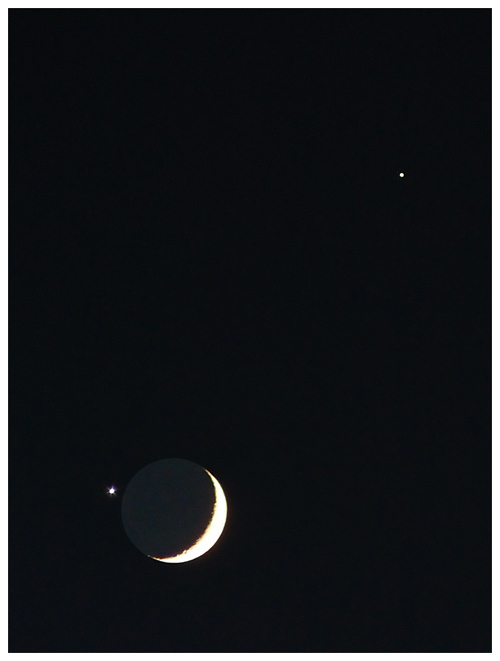 On December the 1st, three celestial bodies clustered together in the sky, it was a rare conjunction between the Moon, Venus and Jupiter. Some month ago I enjoyed to capture the fishing-boat’s reflections on the water of the Harbour, the light was perfect and I got a series of nine abstract pictures. The last olive-trees on a beautiful hill more and more built.